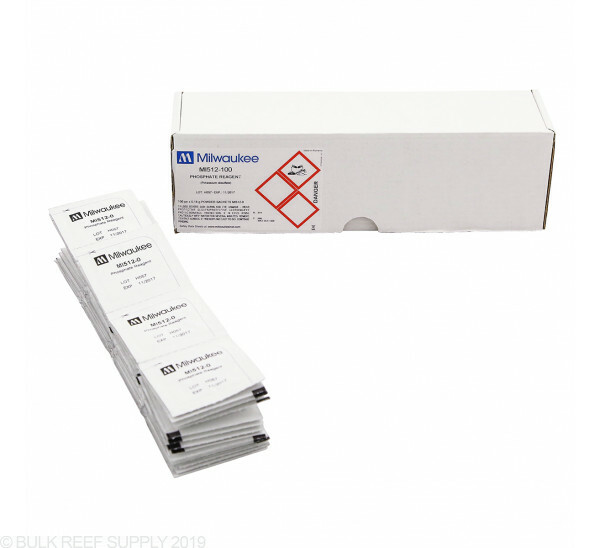 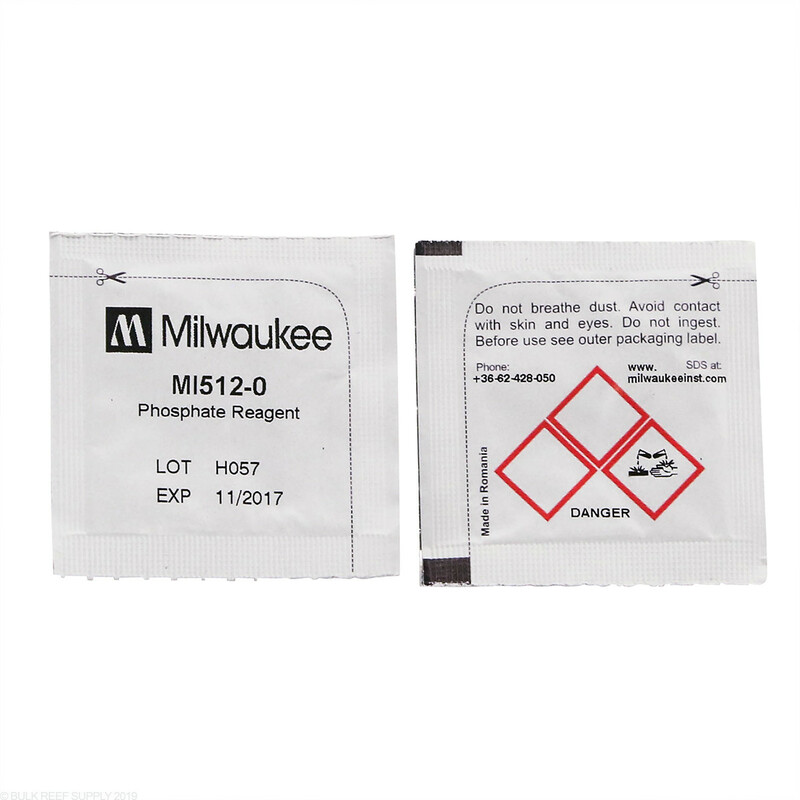 Milwaukee MI512-100 Low Range Phosphate Photometer Replacement Reagent Set contains 100 single use packets for use with the Milwaukee MI412 Low Range Photometer. 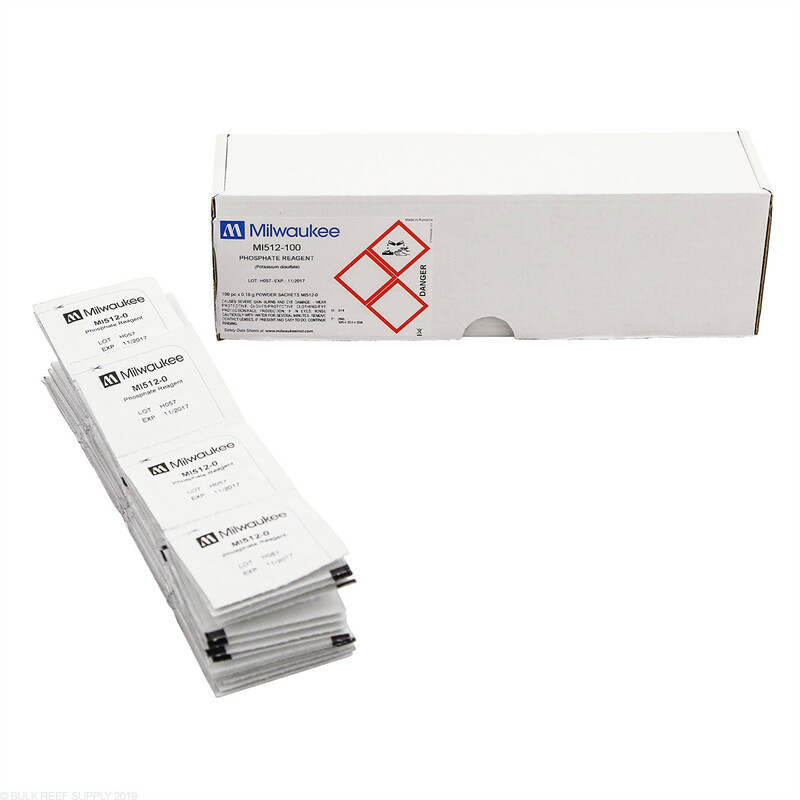 Replacement Reagents for use with the Milwaukee MI412 Low Range Phosphate Photometer. 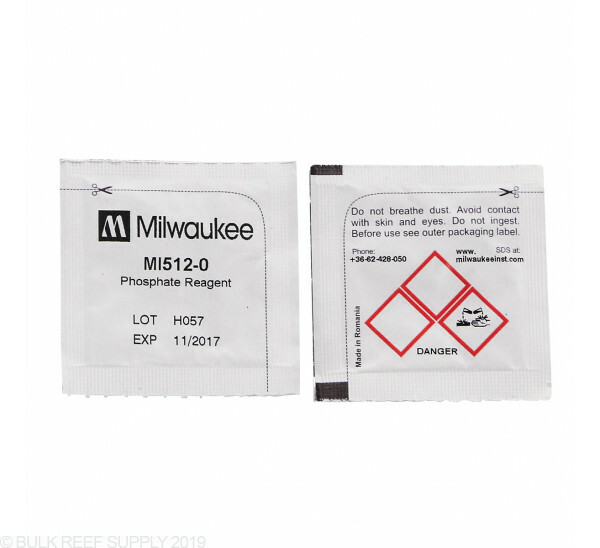 MI512-100 Photometer Replacement Reagent set contains 100 single use packets compatible with fresh or saltwater.